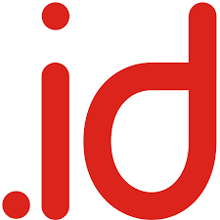 .ID is the official country code Top-Level-Domain (ccTLD) of Indonesia. This is a unique name given to identify the individuals or institutions on the internet from Indonesia. X-ID-ACCEPT-HIGHLY-REGULATED-TAC = 1: The confirmation that the registrant has read, understood, and agrees to all .ID Registry policies and confirms that they are eligible to register a .ID domain name in accordance with the policies found here: here. This page was last modified on 21 November 2017, at 18:06.